Thought a few here might enjoy this thread.. I thought I new CAD...I was wrong! That's immense. Wow, almost impossible to tell it's not real. This is why i think Tamiya will re re all of there kits , As this will be there only chance . B4 this becomes the way to build your own . of RC models , as there will be NO limit ... So mr T get them kits out b4 it's too late . This model would be the ideal way to design & virtually test modified front suspension components to fix all the geometric shortcomings of this chassis family. In reality all you would need to design is longer front arms of the same style as well as a new steering knuckle with some static ackerman and lower offset. With a little testing & development, and the right front driveshafts, one could probably get the Avante series to perform on par with modern cars like the DF03 (or at least good vintage race cars). Wish I had the time & software to do it. Everyone would want those parts. 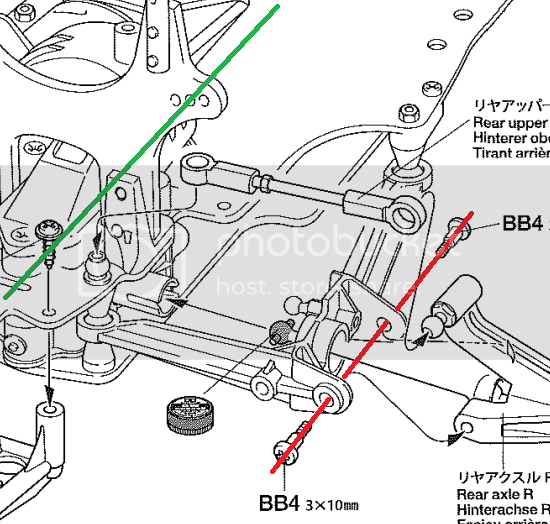 If you are able to build new suspension arms for this cars I'll buy them from you for sure. This feels like a whole new dimension in RC model building. Every piece is so gorgeously-rendered, and the possibilities of such a model and generating one are so useful, such as the idea of virtually testing modified parts. That is absolutely incredible. How on earth do they manage to do that? Not as far fetched as it might initially sound. Imagine if we all somehow dropped out of the hobby in the next few years but then came back again in 20. The technology that might be available to the average consumer could be incredible, meaning the old constraints no longer exist. Then you could upload it to Virtual RC and drive it. Hi guys. The 3D Egress is my project - I would have posted sooner, and shared the pics here also, but I couldn't get access to the forum. I'm not quite sure what has happened, but it seems that now I have access! If you have any questions about the project, please ask away! I'm also trying to do a Dyna Storm build / 3D model as well, so it may be worth looking out for that too if you are interested in such things. Would be great to see the Dyna Storm too. As Percymon says - awesome work on the Egress - It took me a few minutes to realize what I was looking at! Amazing work Paul. If you don't mind, I would like to capture some of your suspension measurements to start designing modified versions of suspension components. Perhaps we could work on them together. That would be cool - Just let me know what you need. The 3d model is as accurate as I can make it, but there may be some room for error. The project is kinda on hold until my kit arrives, but will be doing bits on it here and there. I would start a thread for my 3D stuff, but I'm not sure if my forum access is permanent yet - still don't know why I couldn't get access before, or why I can now. It's all very odd! From your CAD model are you able to tell me what the standard rear toe setting is "if" the lower arms are set parallel with the ground? This will be a great starting point for modified parts. As the model is not CAD, but polygon modelled, I can't be sure that those kind of measurements will be accurate, but I will have a look this evening for you and let you know. Here is an example of where to compare. Red line vs green line from directly above will identify toe-in (if any). Right, on my model, the wheels and rear uprights are set to toe in 2° each side. It's difficult to measure with the arm laying horizontal, as by the very nature of the chassis, the front of the arm is mounted lower than the rear. Hmm. On most modern cars, the standard rear toe-in is +3* total (1.5* each side). This is visually very obvious when looking at the model just sitting on the table. With each of my 4 Avante series cars, I am unable to visually detect any toe-in whatsoever. This is why I ask. Perhaps I can make some measurements of my own with a digital caliper to see what's going on. Then we can compare. BTW: I see what you're saying about the difficulty of making the arms parallel to the ground. I guess a better description would be perpendicular to the Z axis? I think that the problem is that while I have measured each part as accurately as possible, all of the parts were put together by eye, so I can't guarantee any level of accuracy. I have just tried measuring the rear toe on my Avante Black Special (by measuring the distances between the front and rear edges of the rear wheels with callipers), and while it is subtle, it is definitely there. Possibly 0.5-1.5° each side. You can measure toe in on the Avante with a simple trick. Disassemble rear wheel hubs (BB4 screws). Disassemble all front arms and wheels to have free space. Keep two long steel wires. They must be same length and 4 mm of diameter. Longer the wires more accurate the measurement. Now insert the steel wires in the rear arms holes. The steel wires distance must be measured on each end. You can see if there is a difference or not. If the measure is the same the two wires are parallel, so 0 toe in. If the steel wires measure is different you can calculate the degree of the toe in. You need the two measures and the length of the steel wire. The rest is simple geometry. Hope I explain well, my English is not so good. Well I just took a close look at my Vanquish and there is definitely some rear toe on that thing. I think it's the angle of the leading link on the trailing arm that throws my eye off. Now I feel a little better about the rear end of these cars.